Sleep like in a luxury hotel. 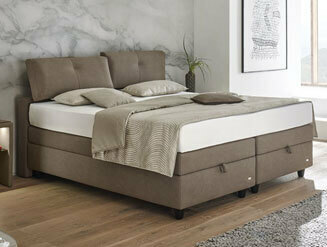 On box spring beds by RUF|Betten. 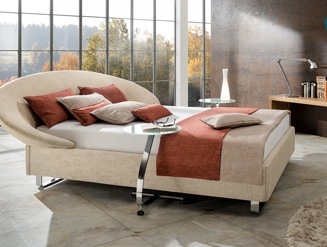 Right on trend in Germany: Box spring beds that offer heavenly sleeping comfort. They are a dime a dozen. 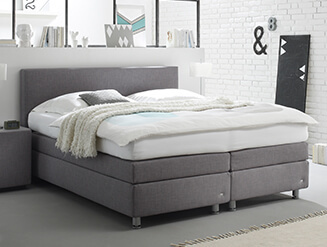 But what makes a really good box spring bed? 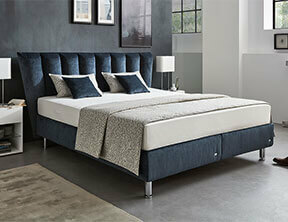 The RUF|Betten sleep experts have examined the box spring philosophy in-depth. 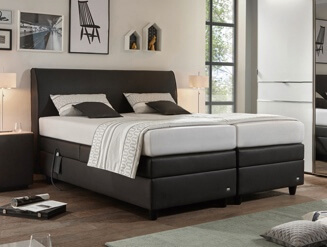 That is why we can now offer you a unique variety of box spring beds that all have one thing in common: They are recognised as “Original Box Spring” by DGM (Deutsche Gütegemeinschaft Möbel e. V. – German Association for Furniture Quality), and meet the highest comfort standards while also being adaptable to any personal style. 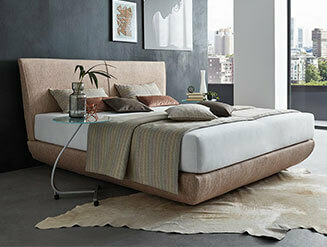 Our box spring beds are composed of modules that can be combined. 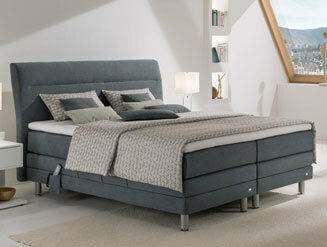 This enables you to create your personal bed. 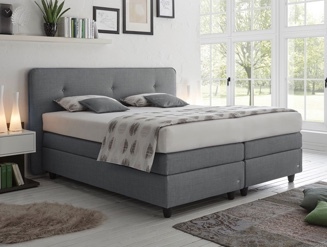 The box spring beds pictured here should spark your imagination.